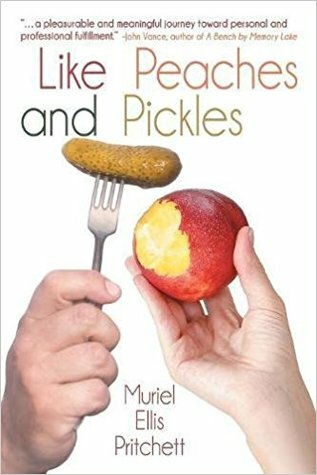 Like Peaches and Pickles follows Georgia as she fights to maintain her position in a work place that is quickly changing. Why was this an important book for you to write? Throughout my long career in journalism and communication, I never worked anywhere that did not have politics. I never understood politics or learned to play the game. I was always horrified to see workers caught up in politics and crushed alive. I always thought that if I did the best job I could do, if I always tried to exceed my boss’s expectations, and if I stayed as far away from office politics as I could, then I would be fine. However, I soon learned that was not true. I wrote this book for all women who have ever been caught up in office politics, but especially for those women whose lives were forever scarred by despicable, ruthless bosses. What I liked about Georgia’s character was that she continued to develop throughout the story. What was your inspiration for her character? I was inspired by the strong women I met over the years whose lives became ensnared in office politics. Women who fought back against wage discrimination and sexual harassment. Women who were vilified for trying to bring about positive changes in the work place. I really liked how I could relate to the office politics in the story. What experiences from your own life did you bring into the story? Like all authors, I draw from my own experiences. It was my naivety when it came to back-stabbing office politics that often got me into trouble. I worked 10 years at a major Southern research university, so I definitely had experiences of my own to weave into LIKE PEACHES AND PICKLES, like political hires, wage discrimination, sexual harassment, fraternity hazing, arrested athletes, and campus scandals. I mixed my personal experiences with stories I heard from faculty and staff members at universities and colleges across the United States and Canada. I am currently working on the third book in my “fruity” series–tentatively titled ROTTEN BANANAS. It is about a recently retired university professor who moves to a retirement complex for a safe, no-stress life full of Bridge games, yoga, water aerobics, music concerts, art classes, afternoon tea, and shopping trips to the Mall and Walmart. But one morning as she looks at her Bridge partner and counts up 40 points in her hand, she decides she wants more than that. So she signs up for a Caribbean cruise on the Emerald Dream, where she meets a stowaway, tangles with drug smugglers, gets kidnapped, and becomes involved with a “hottie” secret agent. What could be better than this? The university’s selection committee nominates Georgia Davis to become their first woman vice president — a job she’s coveted for more than a quarter century. But the university’s new president, Paul Van Horne, sours her plans by ignoring the committee and hiring Carl Overstreet, his old college buddy instead. In spite of her outrage and better judgment, Georgia begins having romantic feelings for the despicable scoundrel who is now her boss — at least until he fires her. But Van Horne and Overstreet soon learn that a Southern peach like Georgia does not go quietly into the compost bin. And Georgia discovers that revenge can taste as sweet as romance. Like Peaches and Pickles — a deliciously wicked story — will make you laugh, love and cheer for one Southern peach with a pit of steel.